There are several smart reasons to get a Ocean County roof replacement for your home. Sometimes it’s easy to know when it’s time for a Ocean County roof replacement because shingles are blowing off and unwanted critters are finding their way into your attic. Other times you may be thinking of improving your energy efficiency, upgrading to install solar panels, or simply selling your home. Here are the top 3 reasons to consider a Ocean County roof replacement for your home. Wind, hail, and debris can cause damage to your roof. 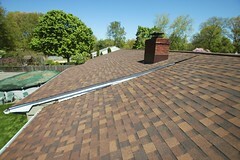 Missing shingles, broken seals between shingles, and indentations and cracks are cause for concern. If the damage is serious, you may also need to have a professional examine the supporting structure beneath the shingles. Damaged wood support beams and plywood will need to be replaced to ensure the roof is secure and load-bearing. Curling, Buckling, Blistering, or Splitting Shingles. When the edges of your singles are turning upwards or the middle of the shingle is bowing, that’s not good news. Equally bad, if not worse, are split or cracked shingles. When these issues happen it means that the lifespan of your shingles is winding down and leaking could start happening, if it hasn’t already. 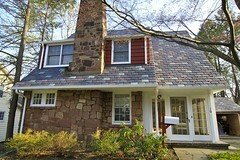 An Ocean County roof replacement gives your home a facelift. It’s a great way to enhance your curb appeal. A new roof will also have energy efficiency benefits as new technology allow for the reflection of solar heat which lowers interior cooling costs and extends the life of your shingles. 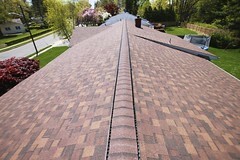 Newer roofing shingles also provide longer warranties than ever before. This means new homeowners will have less to worry about, and that peace of mind is worth a lot to the buyer and results in a better bottom line for the seller. 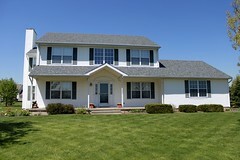 Looking for Expert Ocean County Roof Replacement Services?